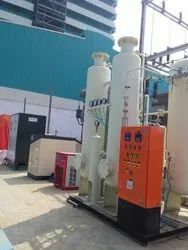 Our company has created niche in the field of manufacturing and supplying PSA Oxygen Generator. The offered range requires very low maintenance. Capacity 2 - 1000 Nm3/hr.